(Nanowerk News) One of the reasons cancer is so deadly is that it can evade attack from the body's immune system, which allows tumors to flourish and spread. Scientists can try to induce the immune system, known as immunotherapy, to go into attack mode to fight cancer and to build long lasting immune resistance to cancer cells. Now, researchers at the Wyss Institute for Biologically Inspired Engineering at Harvard University and Harvard's School of Engineering and Applied Sciences show a non–surgical injection of programmable biomaterial that spontaneously assembles in vivo into a 3D structure could fight and even help prevent cancer and also infectious disease such as HIV. Their findings are reported in Nature Biotechnology ("Injectable, spontaneously assembling, inorganic scaffolds modulate immune cells in vivo and increase vaccine efficacy"). "We can create 3D structures using minimally–invasive delivery to enrich and activate a host's immune cells to target and attack harmful cells in vivo," said the study's senior author and Wyss Institute Core Faculty Member David Mooney, Ph.D. 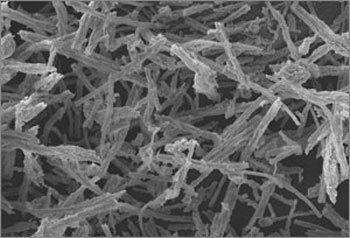 Tiny biodegradable rod–like structures made from silica, known as mesoporous silica rods (MSRs), can be loaded with biological and chemical drug components and then delivered by needle just underneath the skin. The rods spontaneously assemble at the vaccination site to form a three–dimensional scaffold, like pouring a box of matchsticks into a pile on a table. The porous spaces in the stack of MSRs are large enough to recruit and fill up with dendritic cells, which are "surveillance" cells that monitor the body and trigger an immune response when a harmful presence is detected. "Nano–sized mesoporous silica particles have already been established as useful for manipulating individual cells from the inside, but this is the first time that larger particles, in the micron–sized range, are used to create a 3D in vivo scaffold that can recruit and attract tens of millions of immune cells," said co-lead author Jaeyun Kim, Ph.D., an Assistant Professor of Chemical Engineering at Sungkyunkwan University, and a former Wyss Institute Postdoctoral Fellow. "Although right now we are focusing on developing a cancer vaccine, in the future we could be able to manipulate which type of dendritic cells or other types of immune cells are recruited to the 3D scaffold by using different kinds of cytokines released from the MSRs," said co-lead author Aileen Li, a graduate student pursuing her Ph.D. in bioengineering at Harvard SEAS. "By tuning the surface properties and pore size of the MSRs, and therefore controlling the introduction and release of various proteins and drugs, we can manipulate the immune system to treat multiple diseases." The vaccines are easily and rapidly manufactured so that they could potentially be widely available very quickly in the face of an emerging infectious disease. "We anticipate 3D vaccines could be broadly useful for many settings, and their injectable nature would also make them easy to administer both inside and outside a clinic," said Mooney. Since the vaccine works by triggering an immune response, the method could even be used preventatively by building the body's immune resistance prior to infection. "Injectable immunotherapies that use programmable biomaterials as a powerful vehicle to deliver targeted treatment and preventative care could help fight a whole range of deadly infections, including common worldwide killers like HIV and Ebola, as well as provide a valuable tool for nanotechnology to fight cancer," said Wyss Institute Founding Director Donald Ingber, M.D., Ph.D. who is also Judah Folkman Professor of Vascular Biology at Harvard Medical School and Boston Children's Hospital, and Professor of Bioengineering at Harvard SEAS. "These injectable 3D vaccines offer a minimally invasive and scalable way to deliver therapies that work by mimicking the body’s own powerful immune–response in diseases that have previously been able to skirt immune detection."